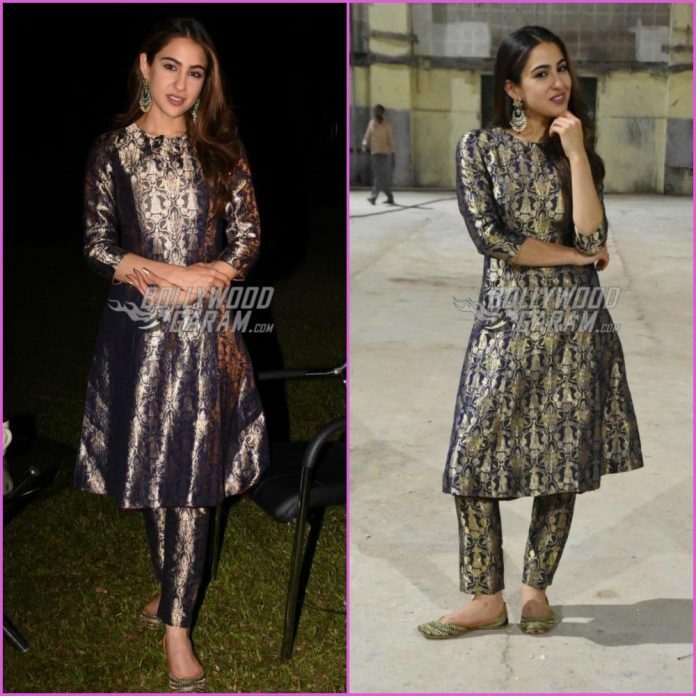 The makers of Kedarnath have started off the promotions of the upcoming film. Sara Ali Khan has begun solo and was snapped at a promotional event in Mumbai on November 27, 2018. Apart from Sara, even the audience is looking forward for the debut of the star kid. Sara looked pretty in a Raw Mango outfit and was all smiles and poses for the paparazzi. Saif Ali Khan and Amrita Singh’s daughter will be making her debut in Bollywood with Kedarnath which also stars Sushant Singh Rajput. Sushant will be seen playing the role of a Pitthu while the actress will be seen playing a young pilgrim. The film is a love story which is set at the backdrop of the Uttarakhand floods. Kedarnath is directed by Abhishek Kapoor and will be released in theatres on December 7, 2018. Sara recently appeared on the show Koffee With Karan with father Saif Ali Khan. The father and daughter duo shared many memories together on the show hosted by Karan Johar.